CPQCC demonstrates the benefits of collaborative quality improvement (QI) efforts in their latest project aimed at optimizing the length of stays in neonatal intensive care units (NICUs). The study involved a total of 110 CPQCC member hospitals that were divided into three groups: (1) collaborative centers participating in an 18-month collaborative QI project to optimize length of stay for preterm infants (20 NICUs), (2) individual centers focusing on optimizing length of stay (19 NICUs), and (3) nonparticipants (71 NICUs). 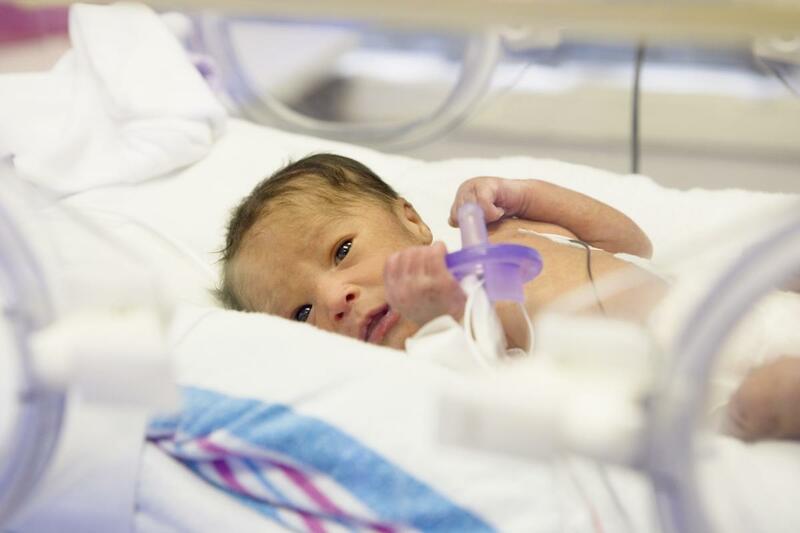 Both the collaborative and individual NICU groups aimed to reduce length of hospital stay by an average of three days for infants born at 27-32 weeks gestational age. After 18 months, the collaborative group reached this target, whereas the individual NICUs group showed no change. The nonparticipant group had an average reduction in length of stay by two days. The results of this project were published online on June 13 in Pediatrics. Director of Quality Improvement for CPQCC, Paul J. Sharek, MD, MPH, is senior author, and Director of Research for CPQCC, Henry C. Lee, MD, is first author. While no formal cost analysis was performed, authors of the study estimated that reducing the length of stay by just three days for preterm infants (~6500/year) could lead to $58.5 million in annual cost savings across the state of California. The study measured length of stay as postmenstrual age (PMA) of the infant at discharge. A secondary outcome “early discharge,” or the proportion of infants discharged from the hospital before 36 +5 weeks PMA, was also calculated. Only the collaborative group showed significant improvement in early discharge, increasing rates to 41.9% by the end of the study compared to 31.6% at the start. Collaborative group selection in this project was not randomized among CPQCC member hospitals, rather it was first-come, first-serve and open to any member hospitals who requested to participate until the group reached a critical mass. Member hospitals engaged in individual, evidence-based QI efforts could select to be placed in what was called the NICU QI 2.0 group. The nonparticipant group was comprised of member hospitals that chose not to participate in either the collaborative or NICU QI 2.0 group. The NICUs that participated in the collaborative group were generally of higher acuity and delivery volume and may have had the infrastructure in place to support a collaborative QI learning experience, Dr. Lee explained. Still, the collaborative group was fairly heterogeneous in terms of NICU size, and Dr. Lee believed that was to the group’s benefit. “The collaboration that occurs benefits from the involvement of teams from different types of NICUs. We can all learn from each other regardless of the type of unit,” he said. Collectively, the outcomes from the collaborative group added evidence to support the effectiveness of structured collaborative QI efforts over individual NICU efforts. CPQCC has been a leader in advancing the collaborative model of QI since its inception in 1997. Not only does the model support a team approach to tackling complex, multidisciplinary problems, it also requires members to share their outcomes with the others in the collaborative, ensuring accountability. Dr. Lee reported CPQCC typically engages in one collaborative project at a time, usually every two years. 2018 is an exception in that CPQCC has two collaborative projects running concurrently: one on growth and nutrition for preterm infants and another on simulation and debriefing for improving resuscitation in the delivery room. Notably, CPQCC has adopted an iterative process, whereby improvements to the collaborative model are based on prior outcomes. For instance, midway through this project to optimize length of stay, CPQCC leadership decided to extend the project’s timeline by six months; it ran 18 months as opposed to 12, and five hospitals in the initial collaborative group did not stay on for the full duration. “The collaborative participants and leadership recognized that the strategies and procedures to optimize length of stay across the unit would take time to figure out and implement,” Dr. Lee said. Although overall there was improvement in the collaborative group, 10 of the 20 NICUs in the collaborative group showed no clear change in length of stay over the course of the study period. CPQCC members are now considering how to incentivize the collaborative model and sustain gains over time. Additional study authors include Mihoko V. Bennett, Margaret Crockett, Ruth Crowe, Steven G. Gwiazdowski, Heather Keller, Paul Kurtin, Michael Kuzniewicz, Ann Marie Mazzeo, Joseph Schulman, and Courtney C. Nisbet. Laura Hedli is a writer for the Division of Neonatal and Developmental Medicine at Stanford University School of Medicine. You can reach her at lhedli@stanford.edu. A PDF version of this press release is available for download here.